*Mike Tyson, whose meteoric rise to the pinnacle of boxing and stunning fall from grace was legendary, was selected Tuesday for induction into the International Boxing Hall of Fame and Museum, reports ESPN.com. Three-division champion Julio Cesar Chavez of Mexico and Russian-born Kostya Tszyu, a junior welterweight champion, also were selected, along with Mexican trainer Ignacio “Nacho” Beristain, referee Joe Cortez, and screenwriter Sylvester Stallone. Posthumous honorees to be enshrined June 12, 2011 include: bantamweight Memphis Pal Moore, light heavyweight champion Jack Root, and middleweight Dave Shade in the old-timer category; British heavyweight John Gully in the pioneer category; promoter A.F. Bettinson; and broadcaster Harry Carpenter. Tyson, 44, finished with a 50-6-0-2 record, winning 44 of those fights by knockout. The heavyweight was the youngest boxer to hold the WBA, WBC and IBF titles at the same time and the only heavyweight to unify those titles individually before losing those titles to Buster Douglas in a massive 1990 upset. 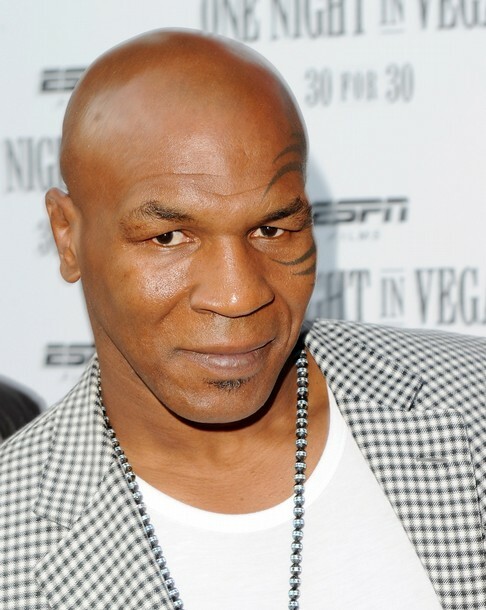 After serving three years in prison for sexual assault, Tyson engaged in a series of comeback fights, most notably two fights against Evander Holyfield, one of which ended after Tyson bit Holyfield’s ear. It was only one in a series of missteps out of the ring for Tyson, whose public fall from grace was as epic as his initial rise to stardom was. He retired from boxing in 2006. He definitely deserves it!! Congratulations Mike!! Co-sign. Nobody brought excitement to boxing in the way that Tyson did in his prime…..that’s right not even you Floyd Mayweather Jr. Also, Mike was a knockout king so how can anyone make an argument against placing him in the Hall of Fame?